If you have been searching online trying to find out how to sell your house in divorce in El Paso County Colorado then you will definitely be interested to learn about our professional house buying company HBR Colorado. We buy houses fast for cash in Colorado Springs and the surrounding area in El Paso County Colorado. We pay cash and can close fast in as little as seven days. We are not licensed realtors, but real estate investors who purchase houses with our own cash and then fix them up to resell them on the open market to the public. If you are interested in getting a free quote today to see how much we would pay for your home then please give us a call or text right now at (719) 286-0053 and someone from our team will analyze your property, estimate the value and the repairs, and then come up with a solid figure of how much we can likely pay with cash. You can then take some time to think it over or talk with your family, and then once you have made a decision simply let us know and we will go from there. We are extremely easy to work with, and there’s no pressure or sales BS that we are going to pull on you. We pride ourselves in standing apart from the rest of the “we buy houses” industry by offering a truly one on one transparent and honest operation. We are trustworthy home buyers that can purchase your house fast in as little as seven business days, and you won’t pay any closing costs, commissions, or fees. Contact us today at (719) 286-0053 for a free quote on your property right now! Fast closing times. Unlike listing your house with an agent, when you sell your property to a private real estate investment firm such as us here at HBR Colorado we can close the deal fast with cash in as little as seven days. If you are going through divorce proceedings, a lot of the time the judge will order you to sell the house, and listing it with an agent and waiting months for it to sell is not a reasonable option. Fair cash offers. Of course listing your home with a licensed real estate agent is the way to get the maximum dollar amount for your property, but we try to provide as fair of an offer as possible for our clients. We use a specific formula to purchase homes that effectively manages our risk in the transaction. We take 80% of the full market value minus the estimated repairs to come up with our cash offer. Sell your property as-is. 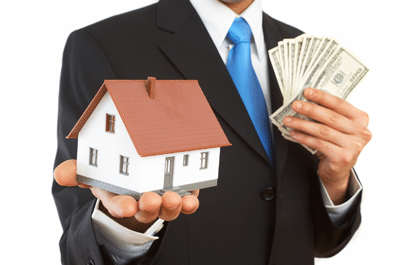 Another major benefit of selling your home to a private real estate investing company is that you can sell the home in as-is condition, and without making any types of repairs to the property whatsoever. You can even leave junk and other debris behind in the yard with no issues whatsoever. Compare that to what is necessary to list a home on the open market with a realtor. Selling fast for cash makes more sense for a lot of people who don’t want to deal with all of the hassle of traditional real estate sales. No closing costs. Since we are real estate investors who are purchasing your property to make a profit, we feel that it’s only right that we cover 100% of the closing costs on the transaction, so that’s exactly what we do. Other “we buy houses” companies will try to make you pay for half of the costs on the deal, and some of them will even try to get you to pay for all of the costs. Get A Fair Cash Offer On Your Property Today! If you are interested in possibly doing business with our professional home buying company, and you are ready to take the next step and see how much cash we’d be willing to offer you for your home, then please give us a call or text right now at (719) 286-0053 and someone from our team will analyze your situation and determine how much your home is worth, estimate repairs, and then present you with a fair cash offer in under 24 hours…or even sometimes right there over the phone. You can also use the live chat feature on our web site to talk to a live representative and get an instant free quote through there as well. Please feel free to reach out to us with any questions you may have about how our home buying program works, how you will be getting paid, or anything else that is in the back of your mind that you are wondering about how this process works. We understand that a lot of people have not dealt with a company like ours before, so you may have some questions about things that you are still unsure of, and we have representatives standing by to provide you with that information, so please give us a call (719) 286-0053. Remember, we are not licensed real estate agents that are going to find a buyer for your home….we are the buyers. We buy houses in Colorado Springs, Denver, and Pueblo in seven days for cash, and you won’t pay any commissions or listing fees. The only clauses that we use in our contracts are a 10 – 30 day inspection clause which allows us to make sure there are no hidden major repair costs that we are likely to run into during the construction phase. We are a 100% up front, honest and transparent organization and we will tell you any information that you want to know, just ask! To get started please fill out the form below with your information and someone from our team will get back to you within 24 hours with a no obligation, risk free offer on your Colorado property!